One of the main reasons why so many web sites and blogs are running off the WordPress platform, is that it offers unlimited customization to it’s users. 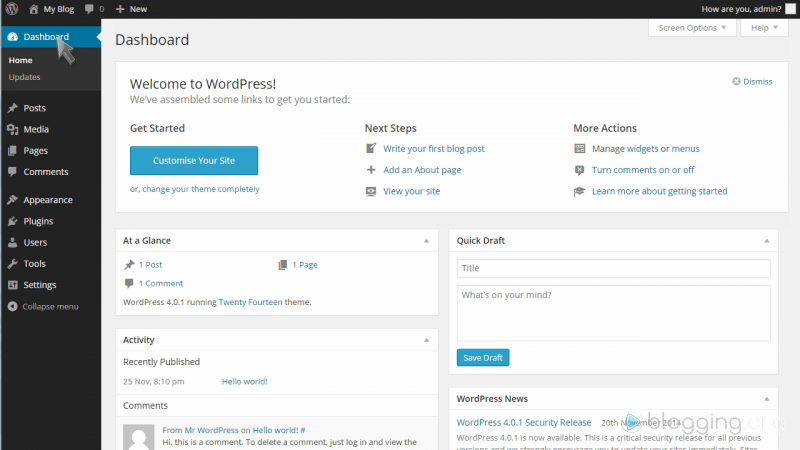 While WordPress is a free software solution, once you are logged into the dashboard area, you can easily change the look, feel and structure of your site through the configuration and settings area. In this tutorial we are going to walk you through the process, while also showing you around the dashboard and navigation area. The first step to configure setting for WordPress, is to make sure you are logged into your dashboard area. Once logged in, click (or hover) on the “Settings” tab in the left menu area. Then click on the “General” button. 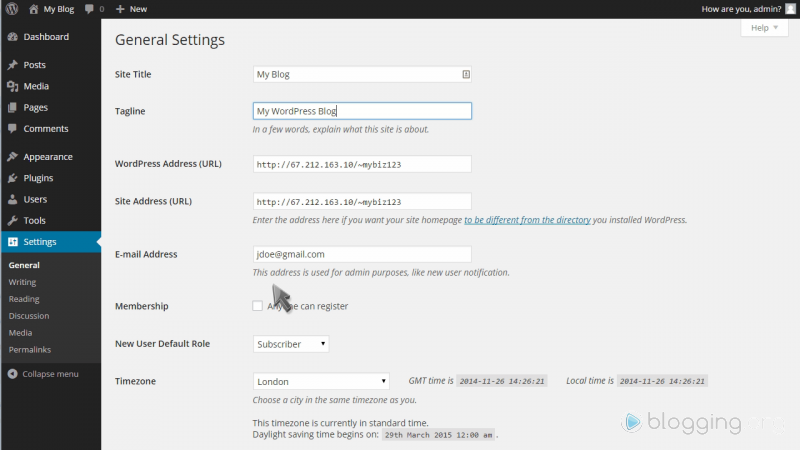 The General Settings page offers you the ability to change the site title, tagline, email address, time zone and other information about your site. In this example, we are going to show you how to make some changes to your time zone. Click on the area you would like to edit, then make the necessary changes. Once finished, click on the “Save Changes” button. Now let’s move on to the “Writing” tab, which can again be found under “Settings” on the left side menu. The “Writing” settings is where you can edit settings that are related to writing and publishing content for your site. 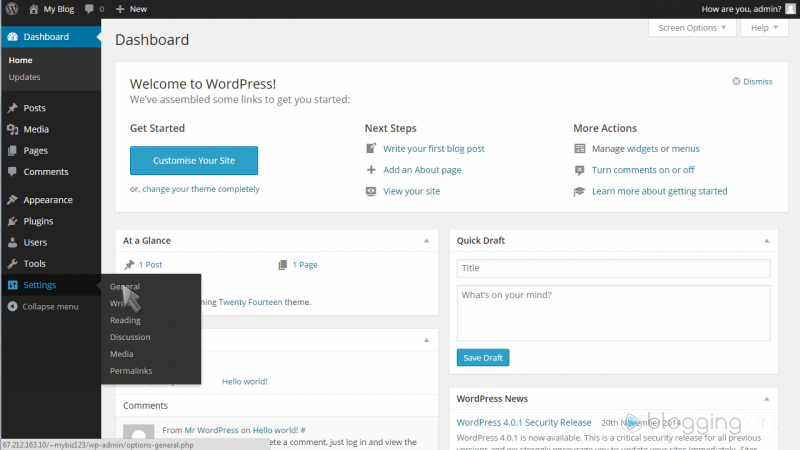 Be sure to always click the “Save Changes” button when making any changes within the WordPress dashboard. Let’s now move onto the “Reading” tabs in the Settings menu again. In the “Reading Settings” you can set how many posts you want to appear on the main page of your blog, or if you would like to set your main page as a static page. You can also choose between showing the whole post article or just a summary. Now let’s look at the “Discussion” tab in the Settings menu. In the “Discussion Settings” you can change all settings that are related to comments and avatars that appear throughout your site. Both comments and avatars are used when people visit your site and leave comments for others to see. 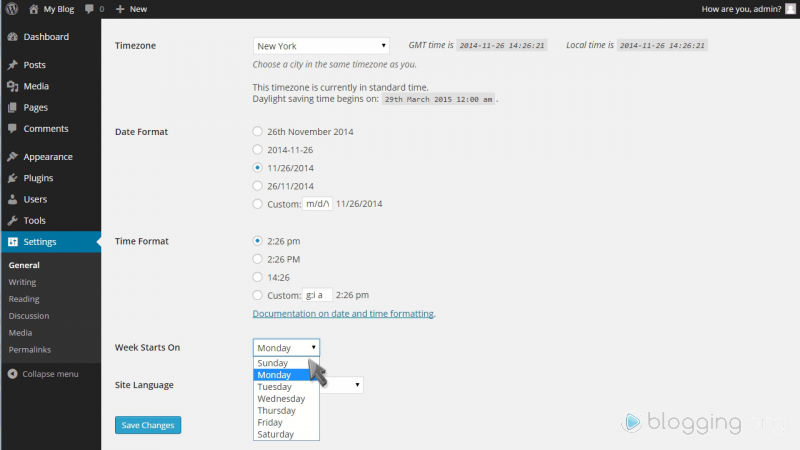 After making any changes to your WordPress dashboard, don’t forget to click the “Save Changes” button. Let’s now take a look at the “Media” settings in the left side menu. The “Media Settings” are for your to set image sizes and how they should appear when added to your site content. The last tab that we are going to look at it is the “Permalink Settings”, which allows you to set the URL link structure for your site. It is advised that you go from the “default” settings to the “Post name” settings, as this will give your blog content a better structure and help it rank in the search results. 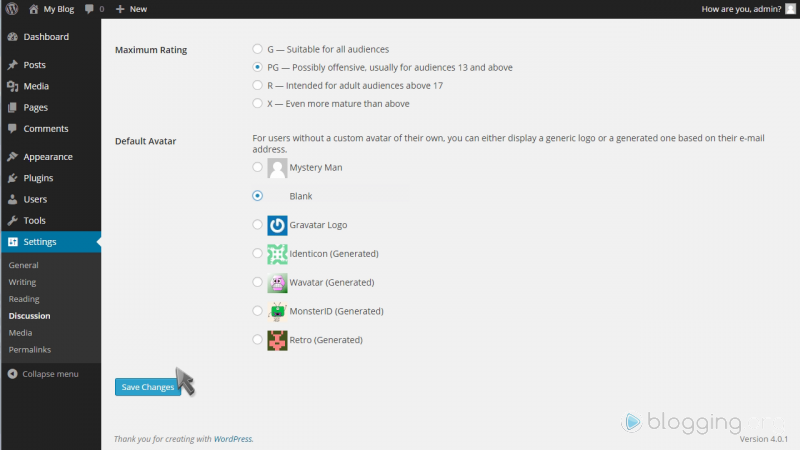 Congratulations, you made it through the WordPress configure settings tutorial. If you would like to make further changes to your site, simple head over to your dashboard main page and navigate to the area you are looking for.